This Essex standard stall horse front with a full grill door and feed opening allows you to easily feed your horse(s). The full grill doors have 3¼" for bar spacing to ensure your horse's safety! This Essex standard stall horse front with a full grill door and feed opening allows you to easily see and feed your horse(s). 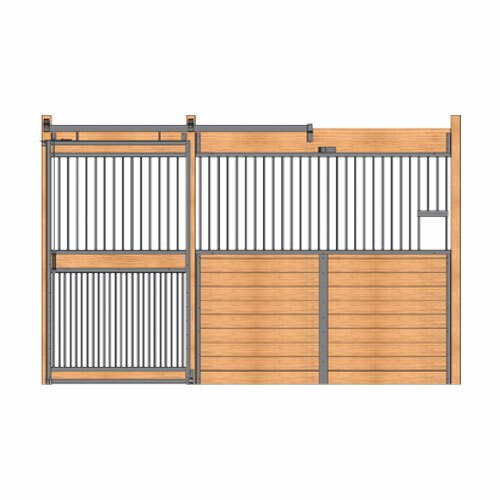 The full grill doors have 3¼" for bar spacing to ensure your horse's safety!